Just after brunching at Queen Anne’s Five Spot Cafe with sound design supremo Jim Wilson (with whom I worked on 16 Stories of Chekhov a couple of decades ago), I visited Doris Chase’s 15-foot tall steel “Changing Form” – which Paul hazards is the most photographed sculpture in Seattle – except for, perhaps, the Fremont Troll. This narrow strip called Kerry Park provides some of the best views in town. And even on this wet New Year’s Day, a half dozen cameras were snapping away. 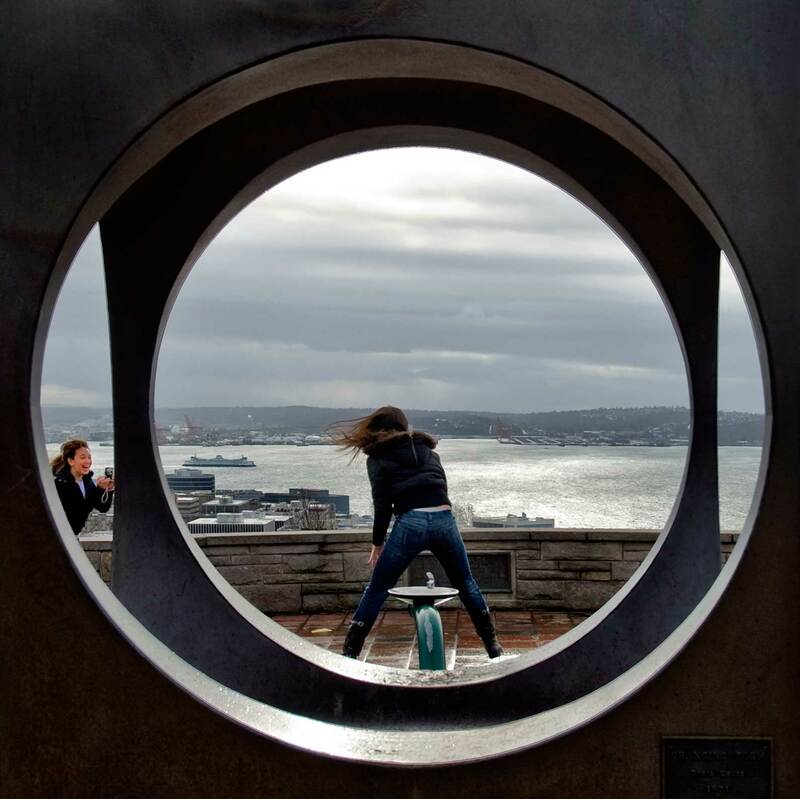 A couple of young women stood out for sheer exuberance: a jumper and her delighted photographer, glimpsed through the sculpture against the gray Sound and sky.